Born in Newcastle, Sue Fenlon has spent most of her life living in and inspired by the coast and countryside of Alnmouth Northumberland. 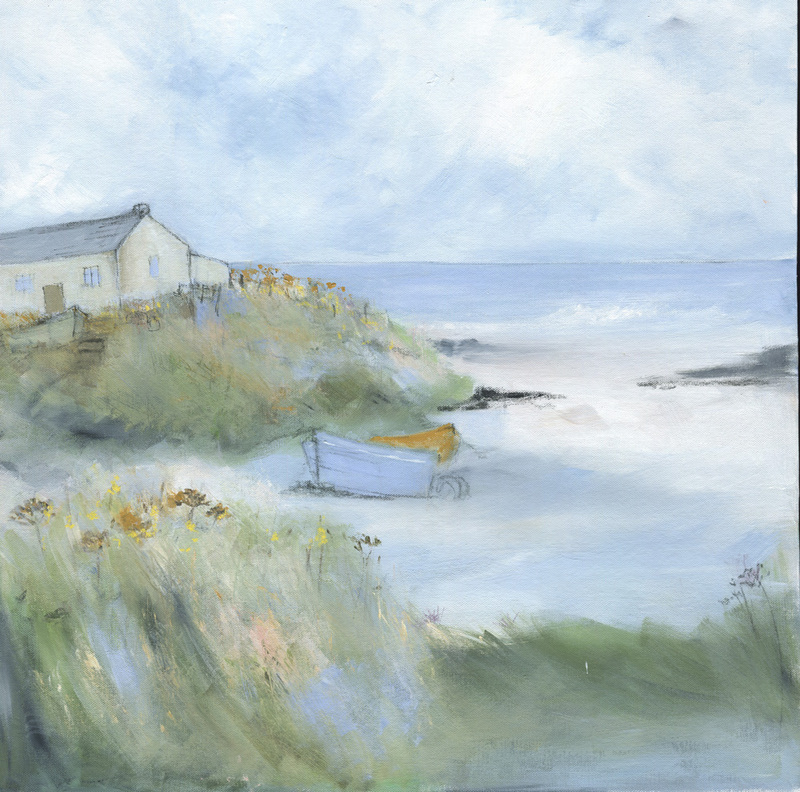 Sue works from a studio overlooking the sea and the fields close to the Old School Gallery. Sue takes daily walks to observe and photograph the changing local landscape and flora which she then paints using acrylics and oil pastels. Sue describes her work is an attempt to capture the way nature evolves through seasonal changes in colour, texture and light, sprinkled with emotion the landscape evokes within.